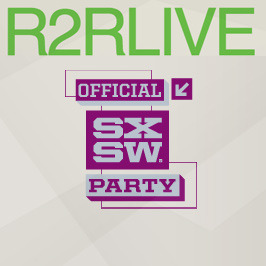 Gig contest website gigg is hosting a contest where those entering have a chance to win the opportunity to open the Rags 2 Riches Live event at the 2013 SXSW (South by Southwest) music festival in Austin, Texas on March 16. The entire event will be streamed live online, will be hosted by Diddy, and Ms. Grey will be performing a full live set herself at the event. View the official set of rules below, and click any of the three banners to access the official website to enter the contest. Sean “Diddy” Combs is hosting what is said to be one of the hottest events at SXSW this year! There is an amazing line up of big name artists that are ready to take stage. Good news is…YOU could be one of those that will be taking stage! Yes, we are going to give the winner of theRags2Riches contest an opening slot on March 16, 2013 in Austin, Texas! Contest is open to US and Canada residents ONLY—Artist must provide their own transportation to show location. Upload a video singing any song you’d like before the start of the tournament—check out the countdown clock to see how much time you have left. NO slideshows or still shots over recorded tracks. Contestants are REQUIRED to upload a new video every other round, so please make sure you check your email after each round to see if you’ve made it through.